“I love to read recruiting manuals, watching hours long training videos and attending full-day recruiting training”, says no recruiters ever. The pace of work is getting so fast that we barely have time to take a pee break. But we still have to keep up with times and continuously update our brainware. That is why I love reading recruiting blogs – they have fresher contents and provide really good insights and opinions from experts and thought leaders directly. Before this was possible, you probably have to pay thousand of dollars to hear them speak. Now you just need internet access. 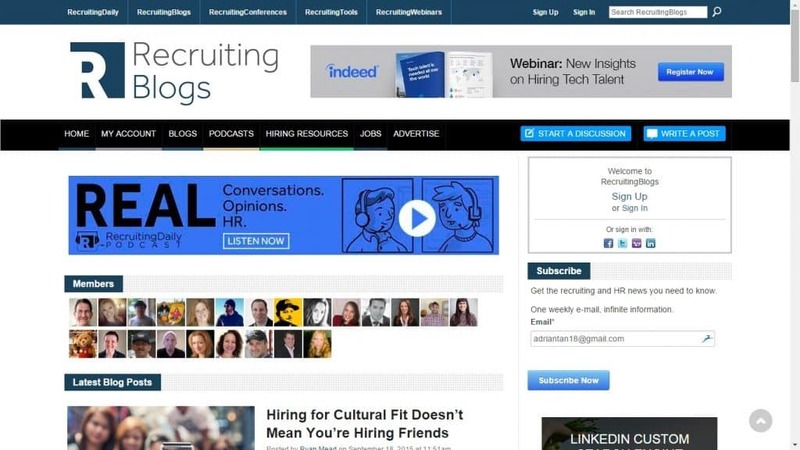 If you want to be at the forefront of recruitment, you must read these 9 recruitment blogs. I subscribe to every single one of them and it helps me to maintain my edge in the world of recruitment. ERE was created in 1998 as an online gathering place for recruiters to network, share best practices and above all else, learn from each other. Today the site is best known for it’s extremely prompt delivery of need-to-know information specifically aimed at corporate recruiting professionals. ERE is not only a good site for corporate recruiting opinion pieces, it is THE place for corporate opinion pieces. If a survey has been released to do with any aspect of the industry, ERE will be there first to tell you how it’s going to affect you, your job and your hires, and how you can deal with it in the best way. Over a career spanning thirty years, Greg Savage is a leader of the global recruitment industry and is a regular keynote speaker at staffing conferences around the world. Good post to start – People don’t leave companies. They leave leaders! Indeed are currently the number one job site in the world and receive over 140 million unique visitors per month. The data they have access to led to numerous evidence backed blog posts. With their availability in more than 50 countries, the data allows them to accurately report and write content on topics such as ‘How to Craft Top-Notch Job Titles and Descriptions‘, ‘The Top 10 Cities & Occupations for Recent Graduates‘, ‘What Job Seekers Want: An Economists’s Look at the Most Desirable Occupations‘, and ‘Succeeding in Search with Job Content that Attracts the Right Candidates‘ – insights you just wouldn’t get from any other source. 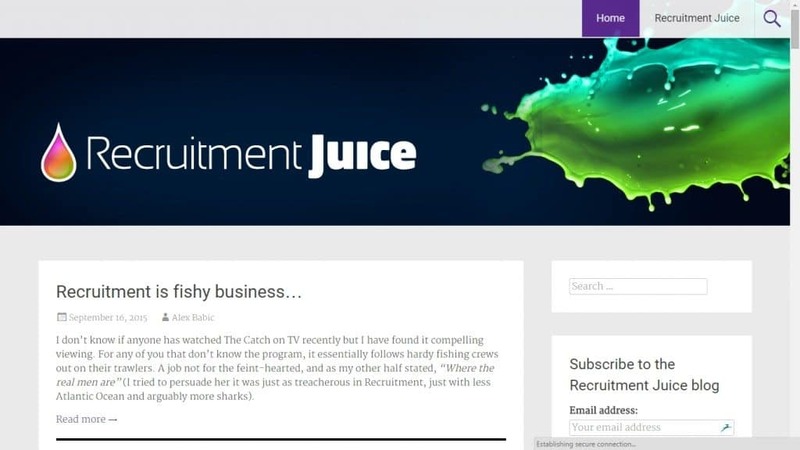 Juice started off as a game changing Talent Development Platform hosted in the cloud and aimed at recruiters worldwide. The Juice TDP offers on-demand video-learning featuring how to guides, comedic drama and practical exercises to make learning easy and fun as well as utilising online quizzes to test individual knowledge retention. JuiceTDP Blog curates panel of recruitment experts to provide bite-size advices and opinions in the recruitment market. A recruiting & HR geek, Matt Charney started his career as a corporate recruiter, leading full cycle executive level searches while managing employer branding and social recruiting & recruitment advertising for Fortune 500 companies including the Walt Disney Company, Warner Bros. Entertainment Group and Amgen. 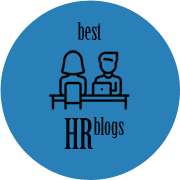 With a focus on – and passion for – marketing, technology & talent management, Matt’s writing has been featured on sites such as Forbes,ERE, Fistful of Talent, Brazen Careerist, Glassdoor.com, SourceCon, HRO Today and HR Executive. 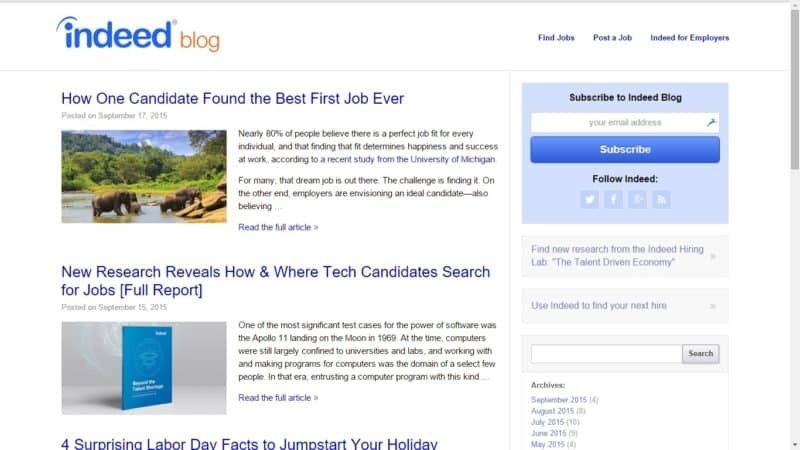 RecruitingBlogs is the #1 online media resource for today’s recruiting world, offering a signature mix of content, news, webinars, podcasts, videos, eBooks, white papers and events that develop professional best practices. 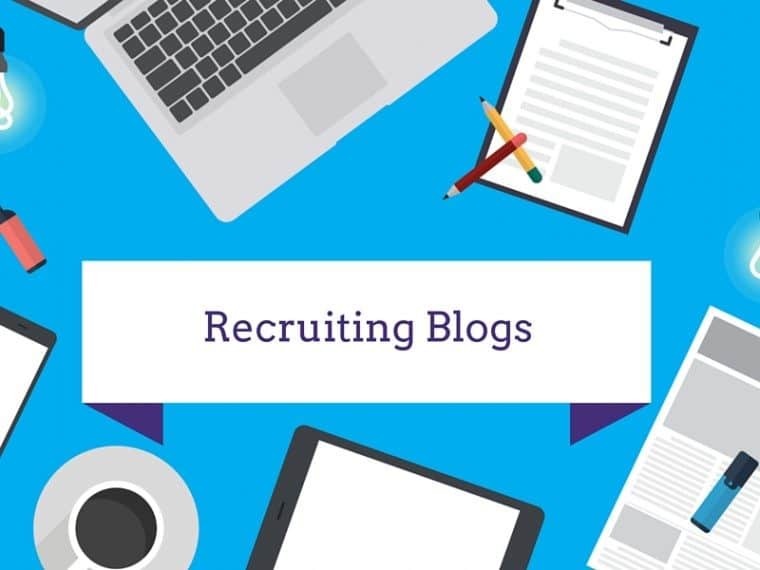 RecruitingBlogs and its network of sites reach a global audience ranging from entry-level sourcers to strategy-level corporate executives in the human resources, talent acquisition, recruitment marketing, compliance and diversity and inclusion professions worldwide. Andy Headworth is the founder of Sirona Consulting and has been in the recruitment industry for twenty five years, and is still as passionate about recruiting as he was when he started as a young consultant. He is an innovative problem solver who always manages to get you thinking differently about solving your recruitment challenges. Andy’s recognised knowledge and expertise has allowed him to successfully deliver projects, workshops and keynote speaking assignments across UK, Europe, Middle East, Canada, USA and APAC. Andy was named by The Huffington Post in ‘Top 100 Most Social HR Leaders on Twitter’ and ’50 Most Popular Recruiting Influencers on Twitter’ by ERE/LeadTail. He was invited to make a film for the BBC providing social media recruiting guidance. 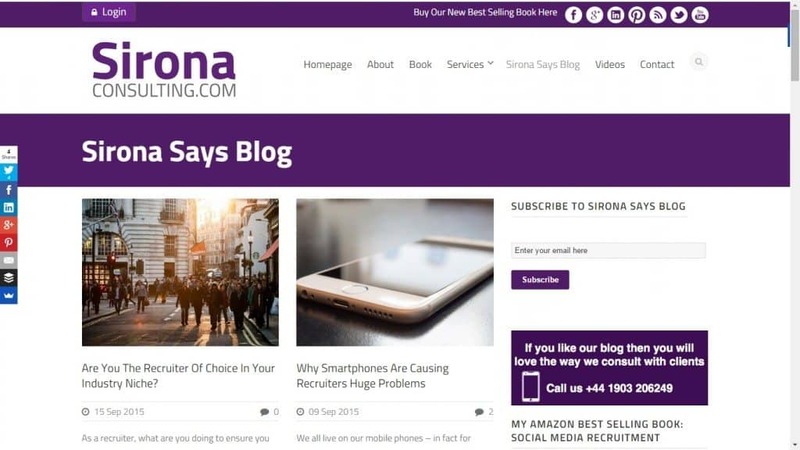 Sirona Says Blog is the consecutive winner of Blog of the Year in 2013 and 2014 by theukrecruiter. 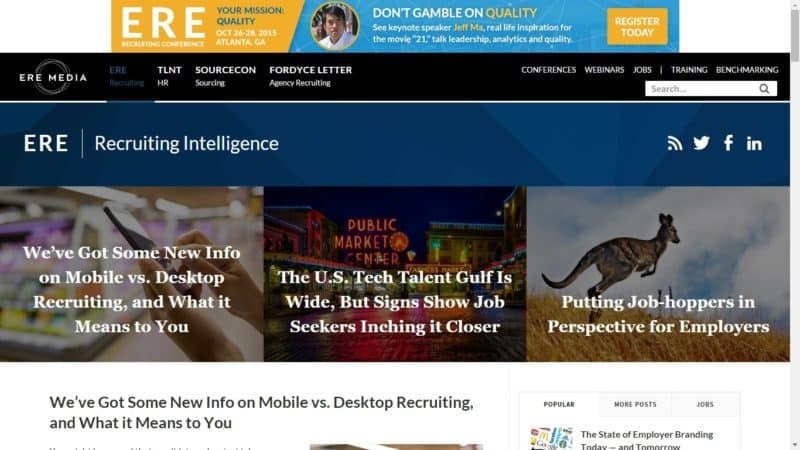 Originally begun as an idea to develop an educational conference dedicated to internet and telephone researchers and sourcers, SourceCon quickly became an online hub for recruitment information, knowledge and news. The site nows acts as a vehicle for recruiters and sourcers to share tools, ideas and ways to better themselves as researchers. “Inform, encourage, and empower“, that’s the SourceCon goal. SourceCon is “by sourcers, for sourcers” and as such delivers site search tips and tricks, recruitment industry opinion pieces, industry news, survey results, practical advice on trending topics (e.g. gamification)and their use in recruitment, and technology reviews. Good post to start – What’s So Wrong With Recruiting On Facebook? The Undercover Recruiter is the number one recruitment and career blog in the UK and Europe and aims to please both recruiting and HR professionals as well as job seekers. 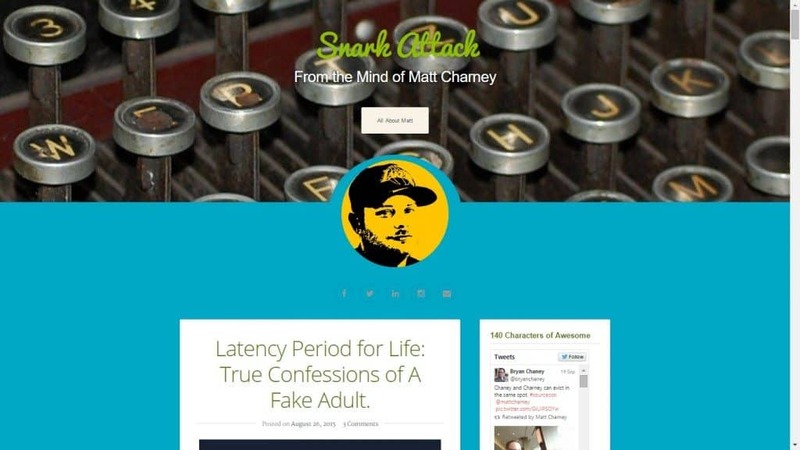 As a result, the content this excellent blog delivers is diverse, thought provoking and offers each different type of reader the other’s perspective. Industry trends, CV tips, interview techniques (on both sides of the desk), workplace best practice, and advice on the modern job search are just some of the topics handled on a daily basis with some fascinating insights offered by a variety of different voices in the industry. Good post to start – What Will Recruitment Be Like in the Year 2025?